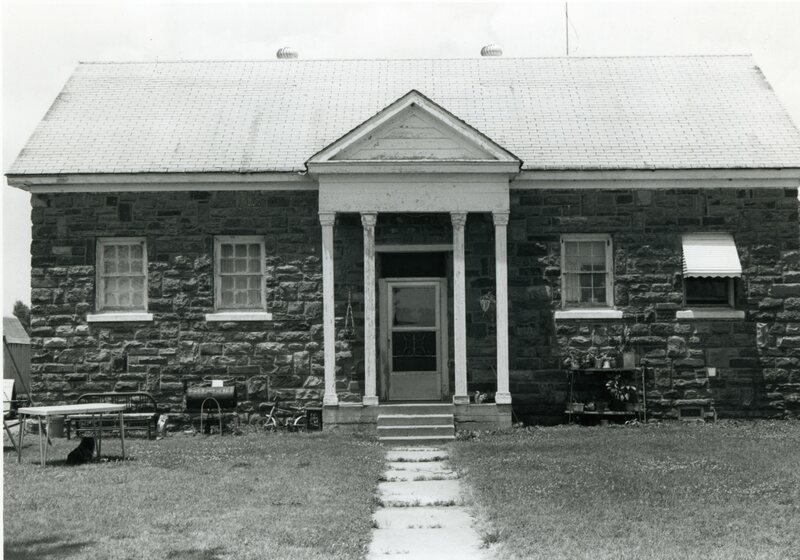 This rectangular (28′ x 40′) single story school building of two rooms is constructed of cut, coarsed, and rusticated native stone of buff and auburn colors. The roof is gabled with a cross center gable decorated by stickwork extending over the entrance that is recessed behind columns supporting the gable. Roof gables are filled with wood siding. On the front sash windows are singly placed and contain concrete sills, while on the rear window openings extend to the eaves. New metal encased doors, rain shelters and wood inserts in the rear windows have been added, but do not impeach the integrity of the building. This school is significant because it stands as a symbol of a government program that sought to preserve people instead of economic systems. At the same time, it suggests that the WPA program was economically important in those communities in which it operated. 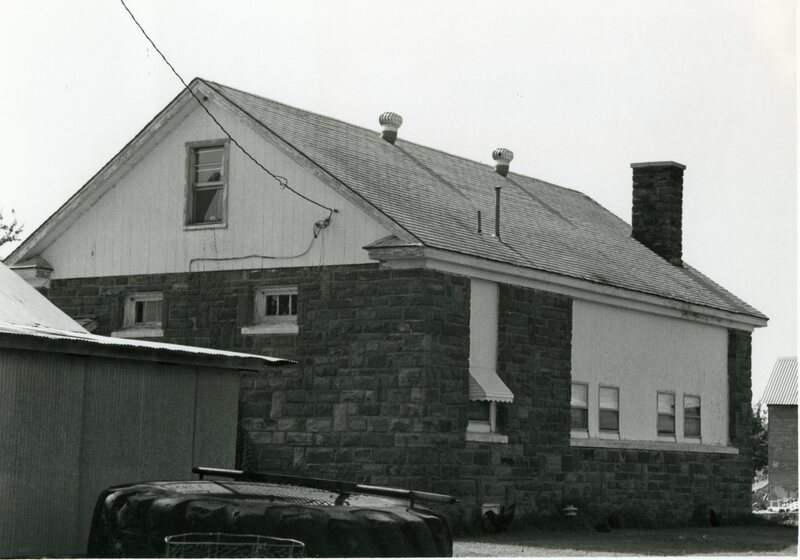 In this Amish/Mennonite area, construction of the school infused wages from some 8600 man-hours of labor into the local economy and enabled destitute agriculturalists to feed their family and retain their self respect. Equally important is that the structure was responsible for the introduction of modern education into the community, replacing a condemned wood frame structure.